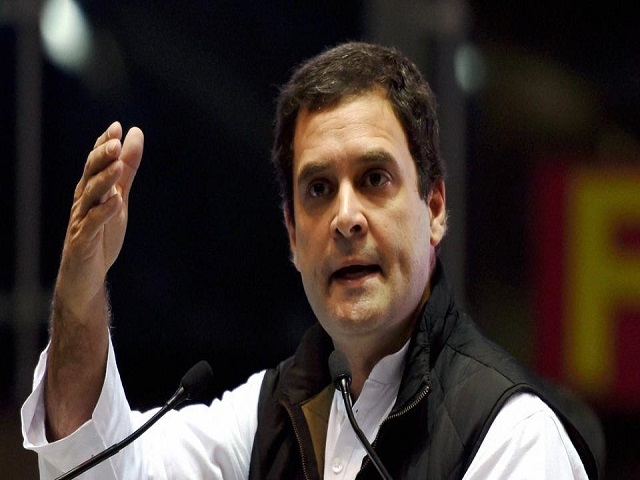 New Delhi: The government should support small and medium businesses and the informal sector to create jobs instead of unleashing taxmen on them, Congress Vice President Rahul Gandhi has said. In a video released by the Congress on October 6, Gandhi said the central issue is 30,000 youngsters coming to the job market every day and “us giving 450 of them a job, thereby creating an army of the unemployed at the rate of one million a month”. He said that India is always capable of solving problems it faces as long as it has focus, but this government “is lacking focus” and not accepting that there is a problem. “They are talking about all sorts of things like Swachh Bharat, Make in India, Stand Up India except for the job problem. India’s strength is small and medium scale businesses and the informal sector. You support these sectors, take medium and small businesses and convert them into large businesses and you will create jobs,” Gandhi said. Gandhi accused the government of “attacking” the medium and small businesses through steps like demonetisation and Goods and Services Tax (GST). “These are brutal attacks on these sectors which will wipe them out. And without respecting these sectors you cannot get jobs,” he said, adding that those running medium and small businesses are the “people who can transform the country”. “Don’t impose inspector raj, don’t unleash the Income Tax department on these people. You will destroy their value,” he said, warning that if the government fails to provide employment to the youth they will get angry and this will be “dangerous” for the country.